Triple Shot stays independent this week with some violent first issues to get the blood flowing through your veins and onto the street. We start with the resurrected X from Dark Horse and move toward the expanded Invincible Universe and finally ending with Volume 4 of Mike Costa’s spyfi G.I.Joe: Cobra Series from IDW. Duane Swierczynski can write us a violent comic book with dark dark and violent leading men. His work on both the Punisher and Valiant Comic’s reboot of Bloodshot are proof of this recently. We begin to wonder if he reflects on the real life corruption and violence of his hometown of Philadelphia. 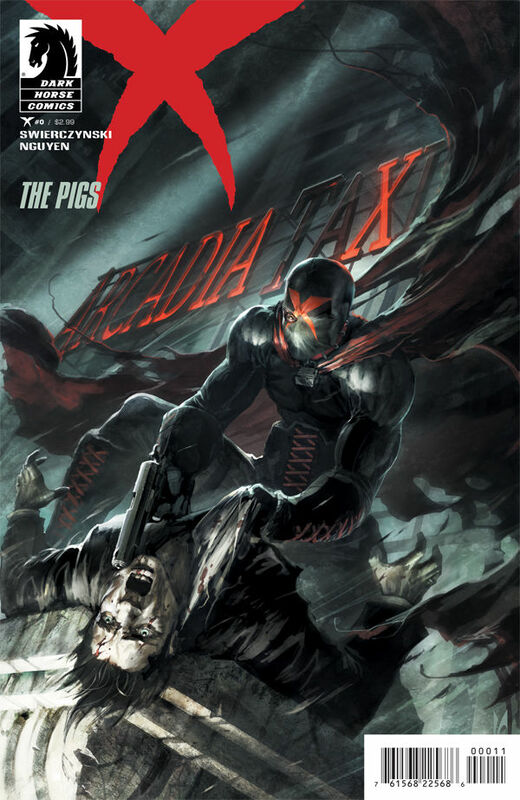 X #0 from Dark Horse Comics debuts this week, originally printed in the popular anthology comic Dark Horse Presents, this one-shot introduces the city of Arcadia and the upper echelon of the criminal underworld running the city. Missing an eye, and with a cool costume with a red ‘X’ on his hood (look out, new Cyclops, X was here first!) the character is foreboding and intimidating. Our boy is similar to Frank Castle in this way, with one exception. If you are a bad buy, and you receive a picture of yourself in the mail with a red-Sharpied ‘X’ across your face, get out of town. This is X’s warning….he’s coming for you. X uses a variety of weapons from swords to fists, car bombs, machine guns, serrated knives and crowbars to get various jobs done and wipe out the major players in Arcadia in this issue. X is as cunning as Batman and Punisher, and seems to have the upper hand on the criminals in the book from unseen detective work. Swierczynski even works in the obvious parallels as boss Pietrain is taunting him from his panic room. This book reminds me of ‘90s Punisher War Journal and War Zone, in the best way possible. Lone vigilante, spilling guts and getting the bad guys. The X reboot is off to a great start, with an ongoing promised on the last page. Be careful, though, you may be off of spaghetti and sausage for a few days after reading this book. The Arcadia Meatpacking District sausage ingredients are very ‘fresh’. Phil Hester continues to expand on the Invincible Universe with a new #1 issue this week. Formerly a spinoff ofInvincible, Guardians of the Globe (or Guarding the Globe) spotlighted the popular superhero team featured in the original series. A hybrid of Avengers or Justice League, and led by Invincible’s sometime boss, Cecil Stedman, the Guardians are protecting the globe from the usual—Viltrumite mustaches, underwater monsters, prison breaks—that sort of thing. Let’s also point out that Invincible is in no way a leader to the team. Sometime’s he’s just getting in the way of Robot and company doing their real work anyway and it always seems like there’s some resentments brewing on the Guardians side, with Mark directly or indirectly putting the world at risk with his actions, constantly. Cecil is barking orders at his new assistant who he wishes to call Agent Edelman, not her given name at all. Taking action across the world are The Guardians, cleaning up after the events ofInvincible #100. Cecil observes remotely and strategizes his chess moves. Disappointingly, the team is not ever assembled properly in this setup issue, but seen in vignettes of them in action across the world. The title change from Guardians to Invincible Universe seems to be including more of the Skybound! imprint’s properties like The Astounding Wolf-Man, Capes, Inc. and Tech Jacket. Overall I’m curious to see where the story is headed, with a new villain introduced toward the end of the issue that reminds us of Fin Fang Foom! Phil Hester is great, and so is Todd Nauck on art, and I understand the expansion of the property to more than one book, but Invincible by Kirkman will always be the canonical Invincible story. Lee and Kirby created the Marvel Universe, but with many other collaborators introducing stories along the way to weave the fabric. 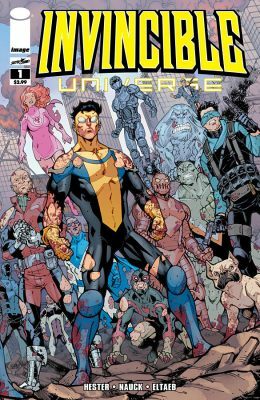 With only a few writers and artists interpreting the Kirkman vision for the Invincible Universe, the side stories feel like they don’t mean much or fall flat sometimes. Two thumbs up for this book, for sure, but let’s blow this thing out with more mini-series and some new heroes. This is a great alternative to mainstream superhero team books like Teen Titans, Justice League or any of the Avengers books. It’s a new season of G.I.Joe: Cobra kicking off this week under a new title. Mike Costa continues his espionage book on the G.I.Joe franchise that caused a great reaction to the repurposing of Hawaiian shirt wearing Chuckles in 2009. Chuckles assassinated Cobra Commander with a gunshot wound to the head, and sacrificed himself to nuke Cobra Island in the pages of this book. Basically, there is no messing around here. Fans of the new G.I.Joe: Retaliation movie would be confused by picking up these books, whereas fans of 24 and Homeland will be delighted. By the end of the last volume, there is a new Pit headquarters in Las Vegas for a cadre of Joes and a very important prisoner, Tomax Paoli. The surviving crimson twin has been providing insider Cobra intel for the Joes upon striking an agreement with them. In this first issue of the new season, Tomax is plotting his escape or purposefully leaking info that will benefit him, such as tracking down his personal Cobra enemies, therefore putting his deal in jeopardy. On the Joe team, Chameleon, half-sister of the Baroness is having an identity crisis. A defector from Cobra and also someone with insider Cobra intel is being psychoanalyzed on the first pages of the book. When she heads out to the field on a mission to tackle Copperhead, things go FUBAR when the ex-Cobra officer’s son points a shotgun at her. Flint resolves the situation with quick legwork. In an attempt to self-treat her PTSD, Chameleon rushes to the comforting arms of a fellow soldier, but this very well could affect her relationships with the rest of her team. We’re off to another great run on this non traditional licensed property book. 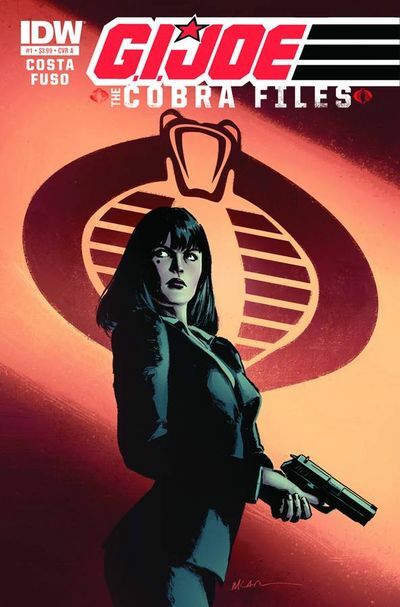 People love G.I.Joe: Cobra, and for good reason. There is espionage, tech, business at a multinational level and great action. It’s especially cool to see a updated versions of previously silly action figures Croc Master, Copperhead and Tomax/Xamot (RIP). A teaser from last season’s closer is dropped on us at the end. The mystery of the late Cobra Commander’s son, in a coma. We hope his name is Billy and he can recall Arashikage training.